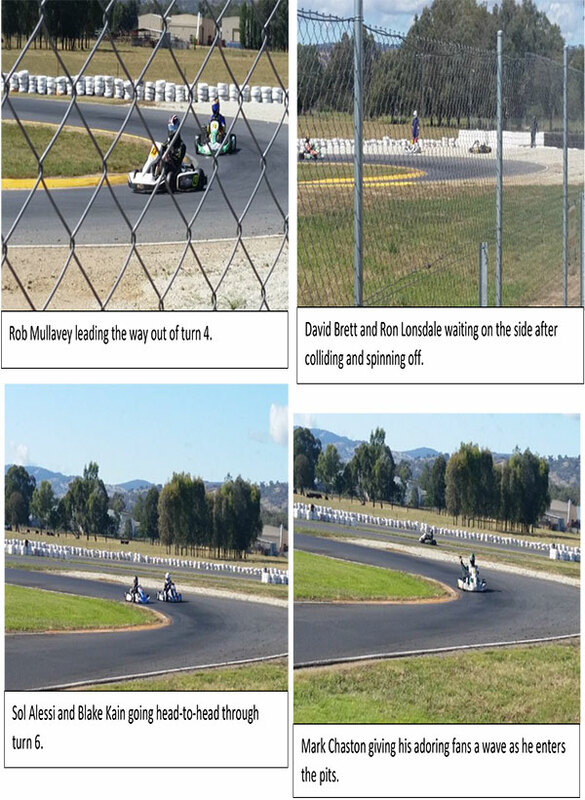 Albury-Wodonga Kart Club’s November club day came around, and the racers got cracking and made one last trip to the track for this year. 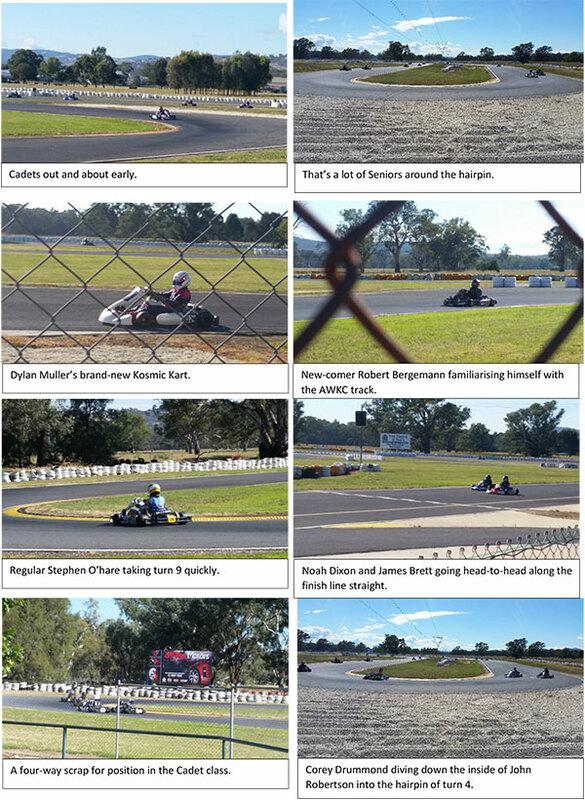 The Seniors were out in force, with sixteen Karters entering, while the regular Cadets resumed their battles from last month and some of the Juniors made up track time in their new karts. Here’s a rundown of this months racing, from Sunday the 25th of November. As mentioned, the Seniors category was larger this month, with three different classes combined to form one large supergroup. 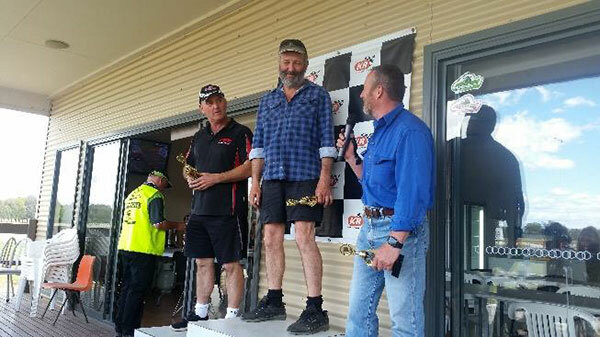 Experienced racers Kevin Mullavey and Ron Lonsdale battled for first in the TaG 125 Restricted Light category as well as first overall, while the rough-and-tumble boys of David Brett and Steve O’hare fought each other for victory in TaG 125 Restricted Medium. Behind these four leaders followed the rest of the classes, especially Gerard Hudson, Herman Van Ree and Rob Mullavey. 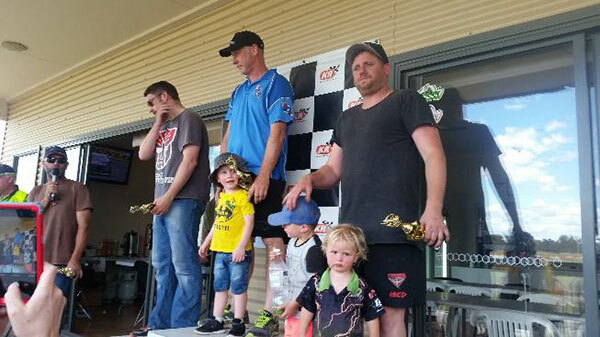 These veteran karters really dug into their battle, pushing to get past or defending with ease, all over the coveted sixth position. This is not to say, however, that the Seniors didn’t stick their elbows out. David Brett and Ron Lonsdale collided into the hairpin of turn 4, before widly spinning off and becoming stranded in the gravel trap. According to one source following the event, it was of divided opinion as to who did what, and perhaps best not to mention the incident at all. However, it was the last shocking event in the chaos class that really had the stewards holding their breaths. At the start of heat three, Mr Lonsdale carried too much speed into the corner and ran wide through turn 1, allowing his kart to skid furiously across the gravel-trap and plough through the tyre barrier. It was with a relieved sigh that we watched him step out of the kart. Also, a quick welcome to new karters Corey Drummond and Robert Bergemann. Nice work boys. The Cadet Nines also had a number of bumps and taps throughout the day. Sol Alessi and Benjamin Roberts tangled during qualifying, resulting in damaged side-pods for both of them. Then, later in the day, Noah Dixon and Sol were racing hard for first position and collided in the hairpin. The pair were off and racing by the time they arrived at turn 4, and in their endeavours to make it out of the corner ahead, they very unfortunately tapped karts. Noah was unable to get his kart out of the gravel trap, which was a shame, for it ended the fantastic racing between the pair that was such a pleasure to watch. The overall race day in the Cadet Nines left Sol in excellent form with a dominant, well-deserved victory, after consistently winning three of the four races. Noah on the other hand, struggled all day. However, there was one stand-out moment for young Mr Dixon, and that was when he overtook two karts in quick succession; one on the outside of turn 1, quickly followed by another on the inside of turn 2. My overtake of the day. Meanwhile, James Brett also ran an excellent race day, staying in the position to take advantage of any mistakes Sol or Noah made, and leaving him very close to a race win at multiple stages. Perhaps one of the most outstanding and improved racers of the day was found in this category. 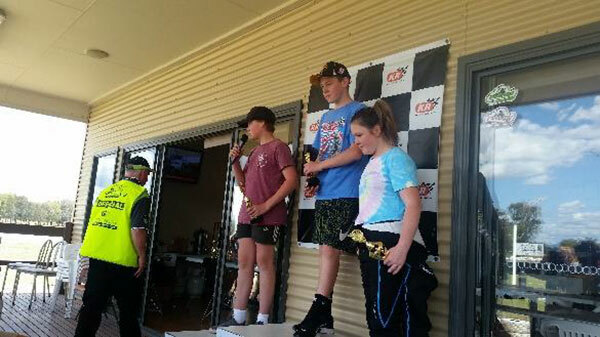 Benjamin Roberts took his racing to a whole new level this month, finding a great rival in new-comer Jaxson McKinna, and performing some very impressive overtakes. Welcome also to the club Jaxson, great racing and we look forward to seeing you in 2019. 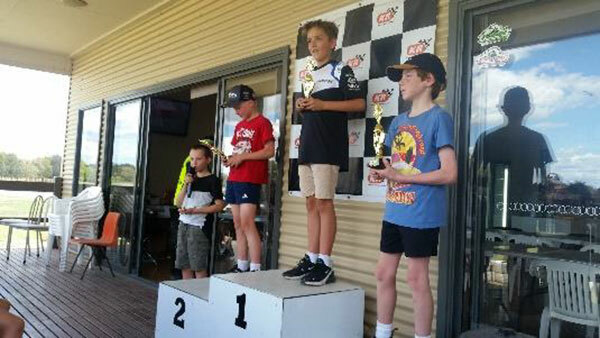 In the other categories, Blake Tracey, Anthony Alessi and Eddy Cooper resumed their enthusiastic fight for the lead from last month, followed by progressing racers Blake Kain and Ryan Taborsky, who enjoyed a scrap of their own in the Cadet Twelve class. 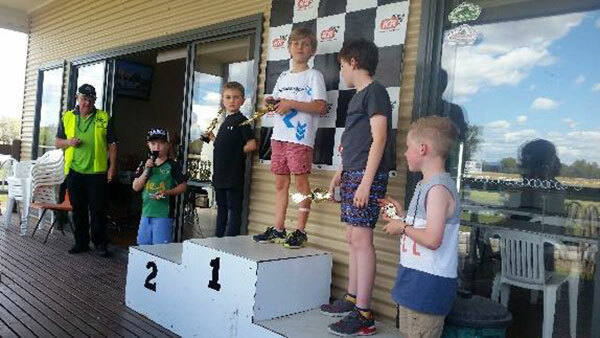 In Juniors, Dylan Muller was putting his brand new, sticker-free Kosmic Kart through its paces, followed by rapid up-and-comer Toby Robins and regular competitor Piper Muller, who was also getting used to her new kart. This club day was the final one of the year, and it summed the racing of 2018 up perfectly. The battles were close and thrilling, the spins controlled and the racing just all-round spectacular. I believe I can say that every class, from the smallest Cadet Nine to the largest Senior, both enjoyed themselves and made some great mates over the course of the year. But now, the 2018 season has come to an end.